sidelined for five games before returning last night against the Winnipeg Jets. During his five-game absence, it became clear just how indispensable Parise is to the Minnesota Wild. The team went through quite a goal drought, scoring only two goals in their first three games without their star forward. The Wild did manage to get back on track against the Buffalo Sabres Thursday night, but last night’s game was a good indicator of how much better Zach Parise makes the Minnesota Wild. The Minnesota native scored his first goal just 4 minutes and eleven seconds into the first period, and his second just minutes before the end of the first period. Nino Niederreiter, who has been on a hot streak of his own lately, also scored in the first period, giving the Wild an early 3-0 lead. The Wild looked dominant early, but faltered in the third when Niklas Backstrom gave up three goals in the first ten minutes. Minnesota’s goaltender situation still makes me wonder, as it usually does. It’s been said that Harding is predicted to return within the near future, and if he does and comes back stronger than before, what exactly are the Wild supposed to do with Niklas Backstrom?But that’s a future matter and I think the only thing Minnesota fans are thinking about right now is the team’s three-game win streak. Wins are finally happening again for the Minnesota Wild, thanks in part to the return of Parise, but also Marco Scandella. Scandella, who had missed games earlier this week due to illness (it’s suspected that the mumps virus has been spreading around the Wild’s locker room – fellow defenseman Jonas Brodin is still out due to this virus) returned tonight and helped the Wild solidify a victory against the Jets. 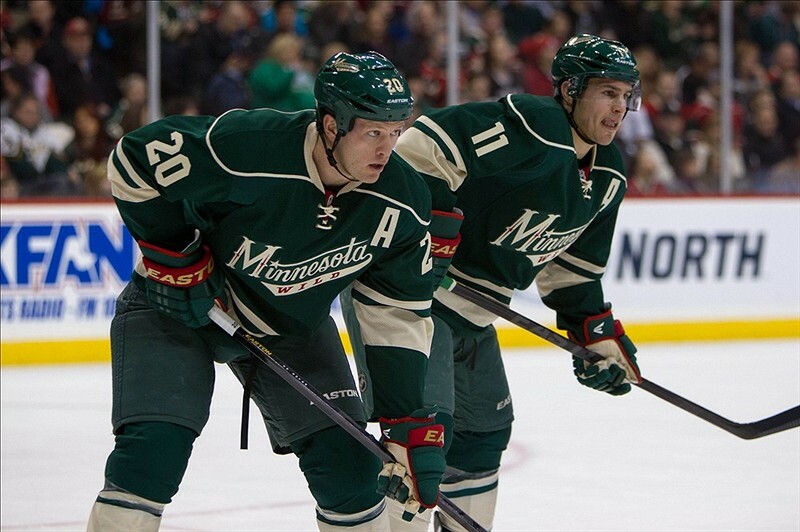 Scandella scored a minute into overtime, propelling the Wild to a 4-3 victory – their third win of the week. With only Jonas Brodin and Matt Cooke still out of the lineup, the team that started the season is slowly getting pieced back together and looking to get back to their winning ways.